PHOENIX, AZ—PIXL Designs is excited to announce the launch of the Dare 2 Share 2017 Unshakeable Tour website. 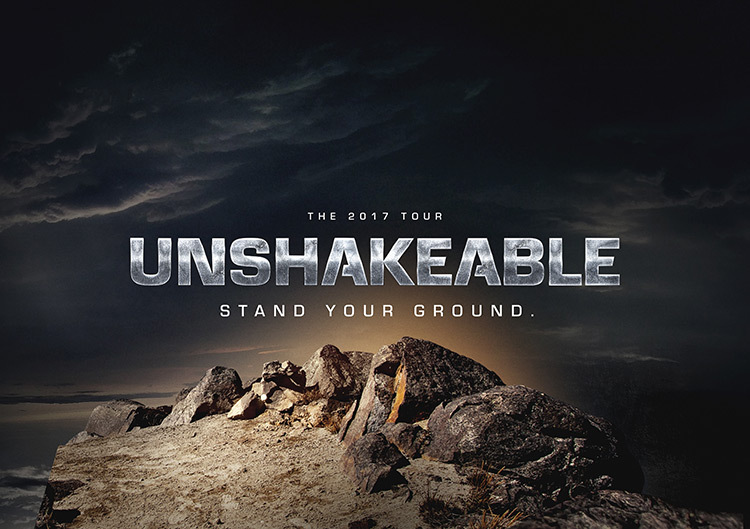 Unshakeable Tour is a weekend training and outreach conference where thousands of teens will gather in five cities across the nation to learn how to share their faith and to impact the surrounding community through public service and outreach. PIXL Designs has been serving Dare 2 Share’s web design and development needs for nearly three years and have launched multiple sites including the PRSA Parthenon Award-winning Dare2Share.org, Lead the Cause, Share 6 Campaign, and even Dare 2 Share’s Digital Annual Report. Dare 2 Share is focused on training youth leaders to engage their teenagers in sharing the Gospel message of hope, love, and salvation to a world that desperately needs it. This partner focus fits perfect inside the mission of PIXL Designs—to help make a positive impact in people’s lives. PIXL Designs is excited to serve the needs of Dare 2 Share in order to use design and development to help mobilize teenagers across the country to share their faith. For more information on Dare 2 Share’s 2017 Unshakeable Tour and to see the website, visit Dare2share.org/Unshakeable.